Home » Blog » Solving Britain’s Housing Crisis: Building More Houses? Whether you’re buying a house to live in or simply hoping to buy, sell and make a profit from your property, you’re not alone – if you’re a Brit at least. Britain loves property, it’s a fact that has been highlighted and discussed by a variety of property experts. Deeply embedded within British culture is the innate thirst to own your own home, something that was recently reaffirmed by political commentator, writer and critic Agnès Poirier, who discussed her experience as an outsider renting in Britain and our obsession with owning and selling property. It’s this peculiar perception that has caused so many of us to take a growing interest in the housing market. But what happens when the system is fundamentally broken? It’s common knowledge that Britain is currently deeply embroiled in a housing shortage crisis – with even those houses that are being built still priced unaffordably for the vast majority, according to a Guardian Cities investigation. So, what’s next? The experts at Good Move discuss the pros and cons for tackling the housing crisis by building more houses. Sounds simple, no? Unfortunately, it’s more complicated than it should be. How easy is it to build houses? Contrary to popular belief, it isn’t as easy to build houses as you might think. In fact, the BBC recently dedicated an entire lengthy article to reasons why Britain can’t build the government-promised 240,000 houses a year. Reasons for the lack of housebuilding include a skills and materials shortage, as well as fewer smaller building companies – that’s before we get into issues surrounding process and legislation. Though improvements have been made, planning permission is still a hindrance to the development process. The Home Builders Federation cited the current planning system as an issue, stating that it is “still far too slow, bureaucratic and expensive”. The government did attempt to streamline and simplify the planning system in 2012. However, despite such promises, it is still an inordinately lengthy process to get from outline to detailed planning according to the HBF. Also impinging upon the development of new houses are the laws surrounding green belts. Green belts are green open spaces that are protected to prevent urban sprawl. 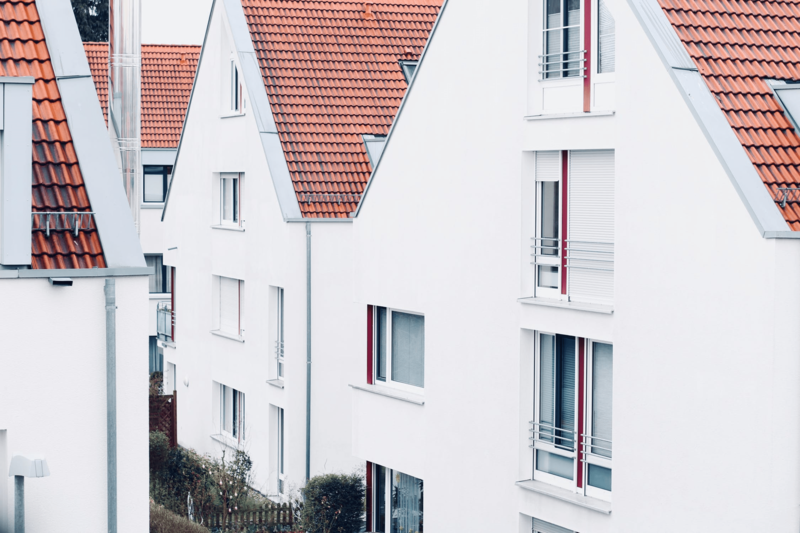 According to Bloomberg, Christian Hilber, Professor of Economic Geography at the London School of Economics, has argued that the British planning system is “extraordinarily rigid by world standards”. He cites the existence of green belts and controls on heights as the root causes of housing supply restrictions. The looming threat of Brexit undoubtedly contributes towards the issues within the property market. The uncertainty of its effects on the economy and personal finances means that processes are becoming drawn out and new developments are risky. This idea has been touched upon by property and finance experts alike as well as leading banks and building societies. Commenting on Brexit, Robert Gardner, Chief Economist at Nationwide, said that Brexit developments would be important but “hard to foresee”. Though it is a common belief that the housing crisis is defined as a lack of houses, there is evidence to suggest that it is actually the system itself that is flawed. One report published by University College London suggests that one of the factors that has contributed towards the crisis is demand far outweighing supply. A house is no longer viewed as a mere roof over a head, but instead views towards property have changed from living arrangements to a financial investment. And since both British and international investors have an unbounded demand, supply can never effectively “meet” demands. To reflect this as a metaphor, we can imagine a very large pie with thousands of hungry people all looking for a single slice. However, even those who have been fed will still be hungry for a second portion – meaning that even with more pies, people will always want more. Another flaw is the very concept of a house being an investment; this idea is reflected by The Spectator, which published a blog using umbrellas as a metaphor for houses to describe the rise and fall of the housing market. Initially, there was no shortage of houses and as a nation, we were convinced that house values would rise due to the assured market and restricted supply. This safe bet meant that houses became an investment prized for their value and as more people invested, prices rose. The soaring prices left those on lower incomes renting, while owners of multiple properties could rent out houses, leading to homeowners buying up additional properties pushing up the prices even more. Rent also increased as homeowners became determined to make a return on their investment. Younger people saw the chance to own a home slip away from their grasp as house prices rose alongside rent. The government responded with a Help to Buy scheme, however, this was quickly taken advantage of by the wealthy who used it to snap up properties at lower costs. So, with all this in mind, should we build more houses? There are many reasons why we should build more houses. According to The Guardian, homelessness has increased by around 75% since 2010, leaving more people relying on hostels and charities like Shelter. If we strip away house prices and the housing market and focus purely on the number of people without houses, statistics show that there is a need for new houses and quite simply, more houses means that fewer people will be homeless. For homelessness to be reduced though, it is worth noting that these houses would need to be more affordable and would likely fall under the social housing remit. The basic theory behind supply and demand would suggest that if there were more houses available, the prices of houses would drop due to the market becoming more saturated and thus property becoming less valuable. Though this may not be a positive for homeowners, it would make it easier for people to get onto the property ladder and would allow for younger individuals to be able to afford a house. An increase in property would mean that the number of sellers and buyers would increase, which would decrease the amount of broken house chains. One of the biggest problems that we have seen our customers encounter is broken house chains. Once one buyer exits the chain, those who are reliant on selling their current property to buy a new one often find themselves in a difficult situation where they must sell their house fast. From a renting perspective, the Grenfell Tower tragedy proves that there is an absolute need for more social housing. Following the tragic fire, 80 percent of families affected have found themselves homeless according to The Week. In an article by The Guardian, Maxine Holdsworth, the official responsible for rehousing the people who lost their homes, admitted that she’s uneasy about the fact that four-fifths of those made homeless are yet to be found a permanent home. When considering the issue for those who are keen to buy, an article in The Telegraph revealed how young people are putting off major life decisions such as starting a family due to a lack of security and continuity. Living in private rented accommodation leads to frequent moving, which is off-putting to many youngsters who are hoping to settle down. Mirroring the second reason for why we should build more houses, if we did build more houses the housing market would be disrupted based on supply and demand. If more houses flooded the market that would mean that the value of property would inevitably fall. Though this is great news for first-time buyers, it is trickier for those who already own property if the value drops. That means fewer people are likely to sell property, which disrupts the buying and selling process. A secondary reason not to build more houses is to preserve the environment. In an article by Inside Housing, Ruth Davison of the National Housing Federation discussed the finite amount of brownfield land and heavily advocated the building of new houses. She believes that we should consider using all sites from brownfield and greenfield to high density land and green belts. Green belts have long been the cause of debate between environmentalists and building advocates. Indeed, an article in Public Sector Executive talks about the problem with urban sprawl and why we must protect green belts even if it is at the cost of more houses. Paul Miner, Planning Campaign Manager at the Campaign to Protect Rural England (CPRE), said: “Without the green belt, we would have the urban sprawl that we see across Europe and North America. From both of these quotes we can clearly see how building on brownfield sites isn’t sustainable, but how building on greenfield sites and green belts can be harmful to the environment. There is also the belief that building more houses will not and can not solve problems with a system that is inherently flawed. The earlier points that discuss how the current housing crisis was caused point to greed as a negative influence on the housing market. In essence, even if new houses are built, what is to stop investors from snapping them all up and further fuelling the housing crisis that Britain finds itself in? All in all, it is clear that something must change for the system to improve. However, what it is exactly that needs to change is still not wholly clear. With so much uncertainty on the horizon with Brexit, it is difficult to know which legislation should be pushed ahead and whether the construction of new builds should be hastened or slowed. One thing for certain is that whether you are for or against the building of more properties, affordable housing is a must for millennials and low income families. However, with governments consistently failing to meet their own house building targets it is uncertain whether this will improve, particularly with the stumbling block that is Brexit. We now find ourselves at a stalemate where we must ask ourselves, is building more houses going to save the system or will it have no impact upon a system that appears to be inevitably crumbling?